One of the reasons that Motorcycle Sunday is awesome, is because of our excellent vendors and sponsors. Many of our vendors tell us that out of the dozens of events that they are at each year, MCS is their favorite. There are opportunities for merchandise vendors, business promotional booths, and food vendors. 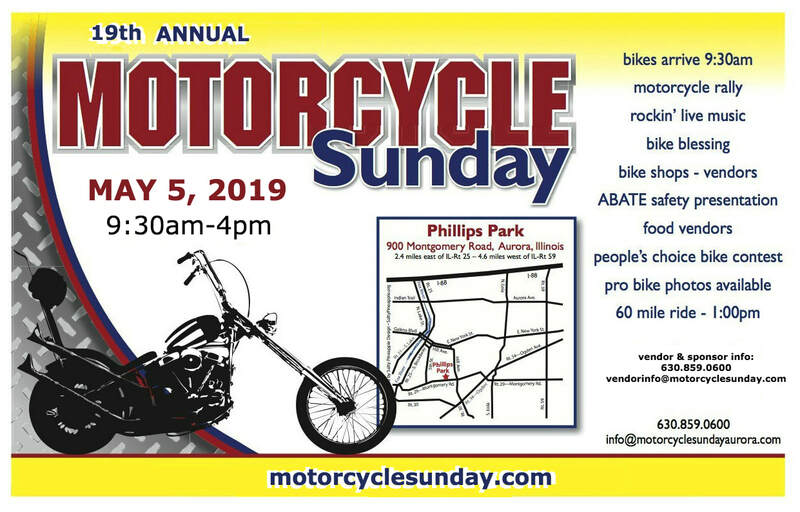 There is also an opportunity to have your logo on the back of the Motorcycle Sunday 2019 event t-shirt, and sponsors can also have a banner displayed on the music stage. Details are provided when you contact our office. If you're interested in being a MCS vendor or sponsor, you MUST contact our office to begin that process. No vendor or sponsor is confirmed until you receive an email letter of confirmation from Motorcycle Sunday.